Many people learn about water ionizers in their search for water filtration products. 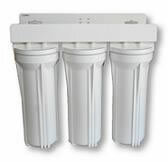 Water ionizers DO filter source water removing many of the same contaminants as regular water filters. 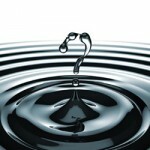 But a water ionizer is much more than just a water filter. 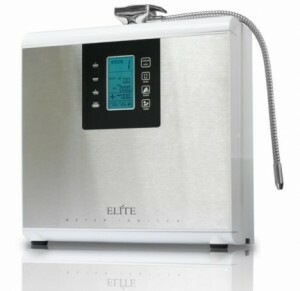 A water ionizer filter is used to remove or reduce contaminants found in source water. The contaminants removed and the level of contaminant reduction will vary based on the filter cartridges used. Of the water filtration options on the market, the two that offer the most effective contaminant removal are reverse osmosis and distillation. While these methods effectively remove contaminants at higher rates than cartridge-style filtration systems, they strip the water of beneficial minerals. This leaves the water with an acidic pH and higher surface tension which significantly reduces the hydration potential of the water. Studies have shown that distilled water in particular often leaches minerals from the body. With no minerals in the water – and little of anything else – the water actively seeks minerals from whatever it comes into contact with – whether that’s something your body needs to stay healthy or not. With reverse osmosis systems, you can lose up to 50% of your water during the purification process. Reverse osmosis systems also rely on a holding tank for the purified water. This slows the flow rate and limits the amount of water you can dispense at one time based on the size of your holding tank. Filter cartridges typically do not reduce the mineral content of the water – they are just effective at removing contaminants specific to the filter cartridges you are using. They rarely affect the pH of the water – if your tap water is acidic, neutral or slightly alkaline it will still be about the same after it passes through the filters. 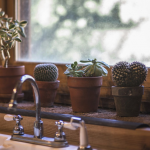 If you have a lot of chlorine in your water you may find that your filtered water is slightly more acidic as chlorine can elevate pH levels if it is high enough concentrations. Water ionizers have an internal filtration system that uses the same filtration media found in most water filtration systems. A water ionizer will effectively remove most of the contaminants that any other water filtration system will remove but “filtration” is just the first function your water ionizer will perform. Once water passes through the filtration system it goes into an ionization chamber or “electrolysis chamber.” Here the water receives an electrical charge picked up by the minerals in the water. This electrical charge is strong enough to split the H2O molecule producing negative ions – powerful antioxidants. The minerals in the water – some alkaline, some acidic – allow the water to be dispensed in separate streams from the water ionizer. One stream will have primarily alkaline minerals with a negative charge – representative of the content of negative ions. The other stream will have primarily acidic minerals and a positive electrical charge. The negatively charged alkaline water produced is high in antioxidant properties and has a lower surface tension than tap or bottled water and significantly lower surface tension than RO or distilled water. Lower surface tension means better absorption by the body for better hydration. Filtration will remove contaminants from your tap water making it healthier and safer to drink. Ionization removes contaminants and produces an alkaline antioxidant stream of water that is recommended by health professionals specializing in the treatment and prevention of disease. Given that the two primary reasons most health professionals advocate drinking water are for hydration and to flush waste from the body, ionized alkaline hydrogen water – which offers significantly better hydration potential and has antioxidants – is a more effective choice.